WordPress 3.0 also includes the menus, in addition to a number of other new features. Normally you generate a menu automatically by creating pages, but under Appereance / Menus you can create your own menu and assign a place where it replaces the normal menu. But whoever currently uses WordPress as a CMS and blog (like me) may now have a problem: If you look at the blog you should be able to see the normal pages in the navigation, but if you then select a page with many subpages it would be nice if the subpages were listed in the menu bar as well as listing only one entry "Blog" which brings you back to the blog page. Conveniently, WordPress already includes everything you need to put together this idea. They are on the one hand of course the aforementioned menus, and on the other side there are Custom Fields. If you have not hidden, you can find at every post and every page an editor where you can enter meta data. 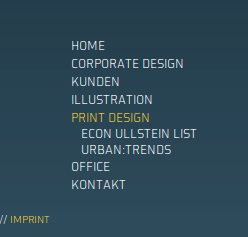 Via this meta data and with the help of a small code snippet you can control what is displayed in the menu. You can put the code snippet in your functions.php of your Theme or in a Plugin. //Filter the arguments for the wp_nav_menu_function to include a custom menu on pages. This code puts a filter on wp_nav_menu_args, these are the parameters of the function wp_nav_menu, which the Theme uses to output the menus. As long as we are on a page (is_page()) the custom field menu_name will be used. If it's not empty and it has a menu with this name, the paramaters of this call will be modified, so it shows the right menu. This post was written by Niklas Rother - niklas-rother.de and is a post in our Advent Calendar Series on WP Engineer about WordPress. Thank you very much from my part to Niklas. WordPress is primarily a blog platform. 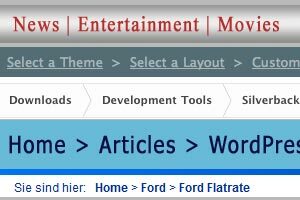 Not infrequently it is used as a CMS. But not just static pages play a role, but also posts, because they are giving more opportunities, having better performance and be published in feeds. Therefore, I prefer to use, in the context of WP as a CMS, posts more than the static pages. From time to time are the wishes of a navigation layout very extra odinary. And so was it in my recent project, the requirement to list the posts from each category in the navigation. This is unusual as in the long run, you will have many posts, and the navigation will be very confusing - still, in this project it made sense, since we won't have many posts. The small function lists the category and below the posts. There is a parameter that restricts the output of the posts, so that in extreme cases, not too many will be listed, only the last posts - $mylimit. The value -1 for this parameter provides all posts. The function itself belongs to the functions.php of the theme or in a Plugin. An exemplary use can be found below the function. WordPress Themes are very flexible, you can easily make use of PHP. The functions.php of a Theme can easily be modified to add several functions to it. 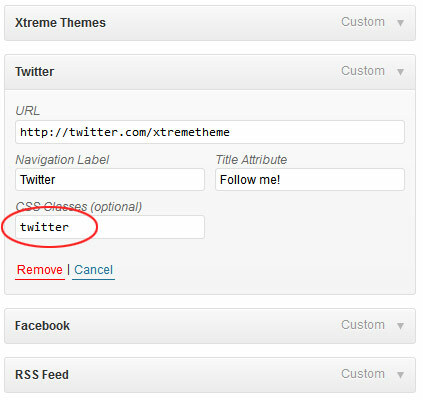 In a small series of tips and hacks of creating a theme, I will show you how to add a breadcrumb navi in your theme. This kind of navi has established in many websites and is an added value to a user friendly navigation.